Google Drive for Work comes with unlimited storage for files and folders, and provides a centralized location for all your documents, along with a stream of other productivity apps including Google Hangouts, Google Docs, Gmail and Calendar. Is shadow IT an issue for your organisation? Are you worried that your employees could be using unsolicited cloud applications to help them work in a more flexible way? 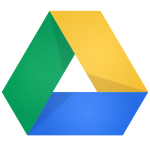 With Google Drive for Work, you have complete control over the data being stored by your employees, and where this is being shared. Give your employees the tools they need to be able to work the way they want, allowing information to be accessed from home, or shared to trusted third parties. Work without limits using Google Drive for Work, with truly unlimited storage for your files, folders, backup and everything else. Share files up to 5TB with anyone, even if they don’t have a Google account, and use all the great features of Google Apps for Business including Google Docs, Google+ Hangouts and Gmail. Google Drive for Work ensures your data is safe, secure and in your control, using dozens of critical security features, along with the tools to enable you to control it. Google’s data center network provides exceptional security and guarantees 99.9%* reliable access to your data, 24x7x365.25 (that’s right: no rest, even on leap years). Your work in Drive can be accessed from any device, at any time. Whether working on the move from your Android or iOS smartphone, or at work or home on a desktop PC, you will always be able to access your files, whether you’re online or offline. Drive for Work even provides the functionality to view and edit over 40 popular file formats including Microsoft® Office documents. Google data centers are SSAE 16 / ISAE 3402 Type II, SOC 2-audited and have achieved ISO 27001 certification. For industries or geographies subject to specific regulations, Google Drive for Work supports FISMA, FERPA, and HIPAA and adheres to the Safe Harbor Privacy Principles. Google Drive for Work is designed to keep your data safe and secure. Encryption in transit ensures your data is secure when moving between devices, users and between Google’s data centres. Google provide 24/7 support for Drive for Work via phone, chat or email. Google are committed to make sure you can access your work content and be successful from anywhere. Google Drive is already used by millions of people around the world to store data for home or work. Using Google Drive is easy and makes managing data a breeze. Google Drive for Work can store all your files and when you need to find a document, use a Google powered search search to pull up the right file in right seconds. Harness the power to secure your data, set user permissions, and gain critical insights into user sharing with easy-to-use management controls. Google Drive for Work comes complete with advanced audit and reporting. Share files with your teammates, partners and customers for instant access from any device at any time. You can even share files with people that don’t use Google Drive, and set permissions for users to view, edit or comment. Google Drive and Google Docs allow you to work together on the same document in real-time with your colleagues. Commenting and instant messaging features bring conversation to your files and allow you to work more efficiently, saving emails or phone calls back and forth. Make sure you never miss an update, with the activity feed that outlines when shared files have been edited. Instantly restore a previous version if you are unhappy with the changes. Google Drive for Work gives you access to the whole Google Apps for Business suite, which includes Gmail, Calendar, Hangouts, Google Docs and more. You can utilise these features as much or as little as you please. Make face-to-face meetings easier to arrange by taking it online with Google Hangouts. Have multi-way HD video conversations with your teammates, customers and partners, and save time and money on travel.